Gregory L. Palozola, D.D.S., P.C. By Gregory L Palozola D.D.S. P.C. Chewing tobacco is as much a part of our sports culture as the national anthem. What once began as an early 20th Century baseball player method for keeping their mouths moist on dusty fields has evolved into a virtual rite of passage for many young athletes. But the persona of “cool” surrounding smokeless tobacco hides numerous health threats — including disfigurement and death. What isn’t as widely recognized is the degree to which chewing tobacco can adversely affect your teeth, mouth and gums. Need more reasons to quit? Here are 4 oral health reasons why you should spit out smokeless tobacco for good. Bad breath and teeth staining. Chewing tobacco is a prime cause of bad breath; it can also stain your teeth, leaving your smile dull and dingy, as well as unattractive from the unsightly bits of tobacco between your teeth. While these may seem like superficial reasons for quitting, a less-than-attractive smile can also have an impact on your self-confidence and adversely affect your social relationships. Greater susceptibility to dental disease. Tooth decay and gum disease both originate primarily from bacterial plaque that builds up on tooth surfaces (the result of poor oral hygiene). The use of any form of tobacco, but particularly smokeless, dramatically increases your risk of developing these diseases and can make treatment more difficult. Higher risk of oral cancer. Besides nicotine, scientists have found more than 30 chemicals in tobacco known to cause cancer. While oral cancer constitutes only a small portion of all types of cancer, the occurrence is especially high among smokeless tobacco users. And because oral cancer is difficult to diagnose in its early stages, it has a poor survival rate compared with other cancers — only 58% after five years. The good news is, you or someone you love can quit this dangerous habit — and we can help. Make an appointment today to learn how to send your chewing tobacco habit to the showers. What would it take to get you to give up tobacco? For major league baseball player Addison Reed, it took the death of his former coach, Tony Gwynn. Gwynn, a Hall-of-Famer who played for the San Diego Padres in addition to coaching at San Diego State, was just 54 years old when he died of oral cancer. As soon as Reed heard the sad news, the Arizona Diamondbacks’ relief pitcher says he knew what he needed to do: He took every can of smokeless tobacco he owned and dumped them all in the trash. “It’s just become a habit, a really bad habit,” Reed told an interviewer at MLB.com. “It was something I always told myself I would quit.” But quitting took him many years — in fact, Reed admitted that he first started using smokeless tobacco as a junior in high school. People begin using tobacco — in the form of cigarettes, cigars, pipes, or smokeless types (snuff, chewing tobacco, or dip) — for a variety of reasons. One major draw is that they see others doing it. And, while smoking is prohibited in most all Major League venues, the use of smokeless tobacco has remained fairly widespread. 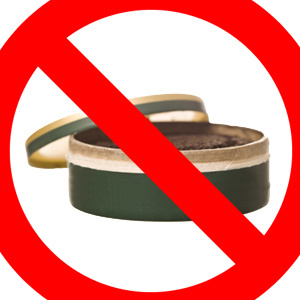 Smokeless tobacco isn’t a safe alternative to cigarettes. According to the National Cancer Institute, it contains 28 carcinogenic agents. It increases the risk not only for oral and pancreatic cancer, but also for heart disease, gum disease, and many other oral problems. It’s also addictive, containing anywhere from 3.4 to 39.7 milligrams of nicotine per gram of tobacco — and its use has been on the rise among young adults. But now the tide may be turning. After Addison Reed’s announcement, his former college teammate Stephen Strasburg (now a pitcher for the Washington Nationals) resolved that he, too, would give up tobacco. “[The] bottom line is, I want to be around for my family,” said Strasburg. Mets left-hander Josh Edgin has vowed to try quitting as well. It’s even possible that Major League Baseball will further restrict the use of smokeless tobacco at games. What does this mean for you? It may just be the opportunity you’ve been waiting for… to stop using tobacco. Dentists have seen how quickly oral cancer can do its devastating work — and we can help you when you’re ready to quit. The next time you come in for a checkup, ask us how. Your teeth and gums will thank you — and your family will too.